Looking at Brumpic prompted my mind to start a grand tour through my years in and around Birmingham’s pubs and clubs. Bearing in mind I am useless with names and facts this will probably be a meandering mess, infuriating you all as I miss out key places and the very basic of details around your own favourite places and memories. I was going to start in the very late 1980s when my drinking career began in and around Moseley and the murky world of the Aston Triangle and then move in a nice linear straight line through metal, rave, football, post-work… whatever and whenever. But screw that. For one reason. This weekend I read about its final few days in its cavern-like home before a big money move over the way – and I started to think why this mattered to me. It wasn’t the first club I ever visited (props to the Hummingbird and its complete mentalness, but that’s for another day), or even the best (reach for the lasers as we enter the legendary Que Club). But Snobs was home. It was the safety blanket for generations of Brummies. Like ordering a tikka starter then a balti chicken sagwalla it had an inevitability about it. It started as I moved away, working abroad then up the M42 for university. You start missing ideas of what home is about, you long for an idealised world where things are what they ever were. Well, in a nutshell that’s Snobs really. It never changed. Not really. Every trip home to see old friends meant going somewhere familiar, somewhere safe. Like furry animals we burrowed underground to that world where the small room played the same songs in the same order every week and the big room where the same people stood on the same podiums that were always on the verge of toppling over. Like I said at the start, I’m awful at detail. I’d love to list all the songs that would be on a Snobs all-time playlist but I’d fail miserably. What? You want that details. Erm, ok – I am the Resurrection, Born Slippy and that one that from the 60s or 70s that’s quite jingly jangly that they played in the small room – yeah that one. So instead, let me tell you about the things I do remember. 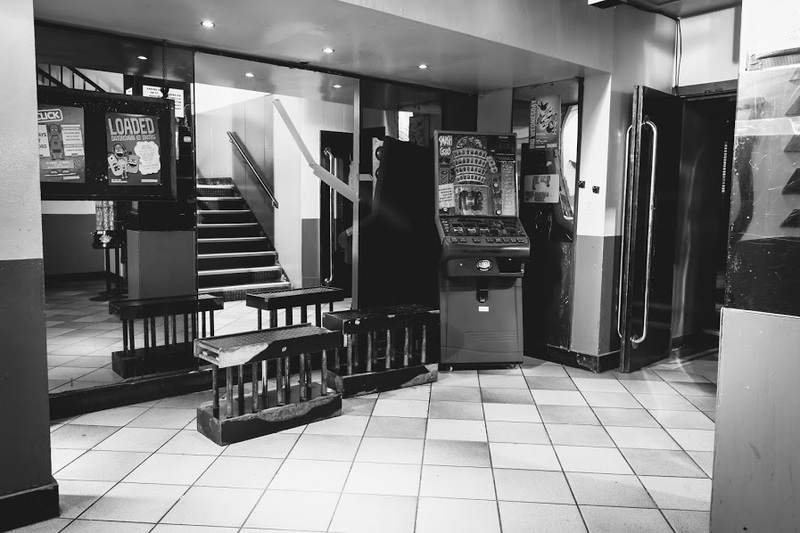 I remember going specifically to play Hubble Bubble on the arcade machines there for 4 hours.I remember our friend Local Radio Steve (he didn’t work for Radio WM, but had a voice that sounded like it should do… and he was called Steve) who worked behind the bar and for 2 glorious years we got in for half price and free beers sometimes.I remember the day the man (Gary?) who ran the place died but Snobs still stayed open and the crying bar staff made it feel like the best wake ever.I remember the various attempts to serve hot food.I remember walking down the back corridor and seeing people with other people and it definitely wasn’t the people they should have been with.I remember losing coats in the fiercest cloakroom seen this side of Earth and those toilets, bad things happened in there.I remember being woken up by my dad on a Sunday morning on our hallway floor still holding the microwave lasagne that I must’ve wanted to eat after a night in Snobs that I couldn’t remember. I remember being mugged outside by a man with a bleeding ear after I’d left early as I had to go see my Nan the next morning in Scotland. I remember working at Digbeth Coach Station then heading in a cab straight there with my colleagues. I remember heading from Snobs in a cab with my colleagues straight to Digbeth Coach Station to start a shift. I remember taking bets in the pub beforehand about which way the queue would go – towards town or down the side. I remember falling down the stairs. I remember falling up the stairs. I remember the bouncers helping me on the way on both the up and down the stairs journeys. I remember every Birmingham-based stag do being organised with the simple instructions of ‘Snobs though yeah?’ as we emailed each other from all over the world. I remember Christmas Eves there thinking this is the best Christmas ever. I remember walking past plates being smashed as the Greek place next door. I remember meeting a couple on their wedding night who’d decided to revisit where they first met. I remember when you could smoke in there and thinking we were Liam Gallagher. I remember every inch of the walk from the Flapper on the way there. I remember seeing my younger brother in there and thinking this is my place, not his. I remember vodka sharks and cheap lager in plastic bottles. I remember the sticky floors. I remember going in a suit when post-work beers lasted longer than they should have. I remember the first time I wasn’t asked for ID. I remember those bars – whether it was the octagonal one (or maybe it was a dodecahedron?) or the sticky one behind the DJ booth or the quieter one down the side where the weirdos went or the one at the back where Steve worked which was where we all gathered to catch up, take the piss, fall over or hear a certain song that would mean knocking into 16 people in a rush to the dance floor. I remember going when I was really sad, when I was really happy and when I was apathetic. I remember it not really mattering. I remember not going to Snobs and wishing we had. That was Snobs for me. Oh that and kebab from Top Nosh afterwards obvs.